The Democratic Progress Institute last week carried out a comparative study visit to Colombia to explore the peace process currently under way in Havana between the Government and the armed group, FARC. Participants met with key actors from both sides of the process, including Colombian President Santos, senior actors and negotiators from around the table including government Head negotiator Frank Pearl and facilitator Senator Iván Cepeda. Also met with were important civil society actors, regional heads of government, and experts in the field of conflict resolution. The visit took place in Bogotá, Colombia’s capital, and in San Jan de Pasto, one of Colombia’s most conflict affected areas in the region of Nariño. 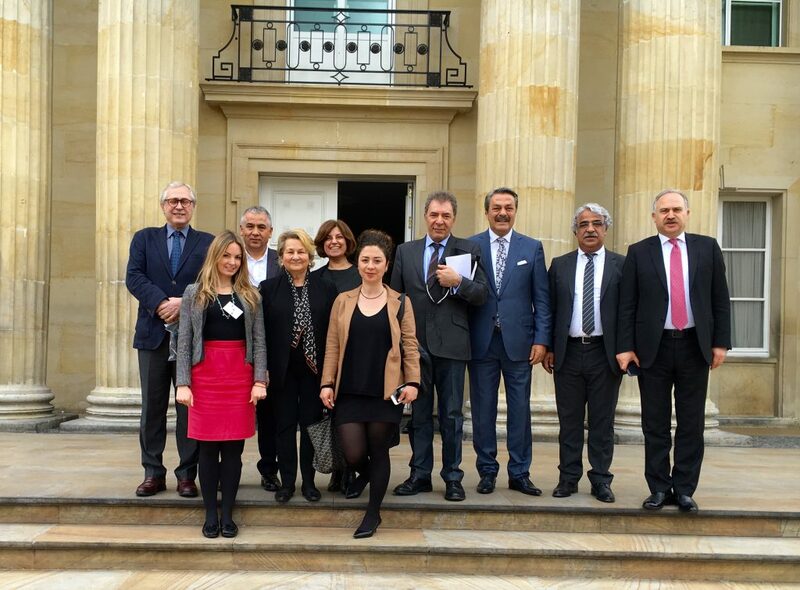 Participants in this visit included senior members from all of Turkey’s main political parties, policy makers, senior government advisors, human rights lawyers, popular public figures, well known journalists, academics and civil society leaders including members of Turkey’s wise persons committee. The visit was hosted by the Colombian government and carried out with the kind assistance of the Presidential Office.